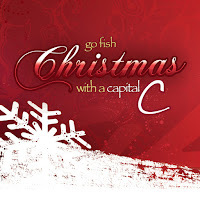 These two words have helped me refocus my attention and recapture the joy of the Christmas season the last few years. Not to "settle." Not to give less than my best to the people who mean so much to me. Not to just get through and get by. But to filter all the shoulds and coulds to make room for what matters more and most. If the decorations are good enough and the food is good enough and the gifts are good enough to celebrate the season and the Savior Who is its Reason, they are good enough for me. There is always one more decoration that could be put up or one more new recipe that could be made or one more gift that could be given. But if not putting up or making or giving one more leaves time or energy or money for something better, then what is already put up or made or given is good enough. The 12 songs and traditions and recipes and stories on this list make up a lot of what my little family cherishes most during the Christmas season. We think these are very good. And they are more than enough. 1. The 12 Days of Christmas...Straight No Chaser-style. The only place I can rightly start this list. A gift in and of itself. 2. 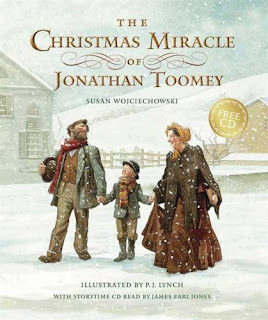 The Christmas Miracle of Jonathan Toomey, by Susan Wojciechowski. Other than the original Christmas story, this is far-and-away my favorite. 4. Cut-out sugar cookies worth marrying into. Saying "I do" to my patient, kind, loving, and generous husband came with a lot of perks (that he puts up with me not the least among them). His mom's fabulous sugar cookie recipe is high on the list. If you like crisp cut-out cookies, this isn't your gig. (Try this list at Cooks.com for some options that'll be more your style.) But if you like soft, tender, melt-in-your mouth pillows of happiness, you need to stir up a batch of these soon. Now would be good. I bake. I don't decorate. Obviously. Don’t forget to plan ahead for this recipe: the dough has to chill for at least 2 hours before you can work with it. But it will be worth the wait. Cream together the butter, sugar, egg, cream cheese, and lemon juice in a large mixing bowl. This is easiest using an electric mixer. Beat until fluffy but do not overbeat or the cream cheese will get runny. Mix together the dry ingredients and beat them into the butter mixture just until incorporated. Divide the dough into 2 equal portions, wrap in wax paper, and place dough portions in a plastic storage bag. Refrigerate at least 2 hours or up to a couple days, or freeze for up to a few months. If dough is frozen, transfer it to the refrigerator to thaw for several hours before working with it. When you’re ready to bake, preheat your oven to 350° and line 2 baking sheets with parchment paper or coat them with nonstick cooking spray. Remove one portion of dough from the refrigerator (keep the rest of the dough chilled until you need it) and place on a well-floured work surface. Roll out to about ¼” thickness and cut into desired shapes with floured cookie cutters. This dough can be very sticky, especially as it warms up, so if it sticks to your counter or pastry board, just gather it up, re-flour your work surface, and start again. It will be worth it! Bake cookies at 350° for 6-8 minutes or until just set but not browned. Cool on cookie sheets for 2 minutes, then carefully remove to wire racks to cool completely before decorating or freezing (unfrosted). Makes approximately 1-2 dozen cookies, depending on the size of your cookie cutters, how thick you roll out your dough, and how many scraps of dough you and your helpers eat. Frosted cookies can be stored airtight for up to a week—if they last that long. 6. Go Fish Christmas. From the best version ever of "Little Drummer Boy" to the beautiful, puts-everything-in-perspective "It's About the Cross," I love, love, love this entire album, start to finish. 7. The Best Christmas Pageant Ever, by Barbara Robinson. After the original Christmas story and The Christmas Miracle of Jonathan Toomey (see #2 on this list), this is my long-time favorite. For one thing, it has possibly the best opening line ever: "The Herdmans were absolutely the worst kids in the history of the world." I mean, seriously...genius. It also has one of the best closing lines ever: "HEY! UNTO YOU A CHILD IS BORN!" Read (or reread) this book. You'll see what I mean. 9. The Christmas roast. On Christmas morning, families the world over can be divided into two categories: those whose members simultaneously tear open their gifts in one frenzied fit of gift-getting delirium, and those whose revelers take turns opening their bounty. The family I grew up in fell squarely into the “take turns” category. Once the Christmas-morning stage was set—Christmas music on the stereo, a fire in the fireplace, all of us in our robes and slippers—we determined the gift-opening order, and the unwrapping began in deliberate fashion. We tried new clothes on over pajamas, read packaging, commented on each other’s gifts, and told shopping back-stories. (“This was the last _____ in the state of Michigan!”) Thus, our gift exchange easily lasted several hours, at which point my brother and sister and I began to make noises about being hungry, at which point my mother realized she hadn’t even started Christmas dinner yet. Because I am more worried about eating than my mother is, I like to have dinner well in hand before a single gift is de-bowed. To that end, I usually make “Forget-About-It and Open the Gifts” Pork Roast. This roast requires no trimming, trussing, or tying; you just throw it in a large pan, sauce it up, and park it in the oven for many low-temperature hours while you ascertain whether or not your spouse listened when you dropped hints about what you wanted for Christmas. It is delicious enough to serve to company (I once fed it to my mother-in-law, and she loved it) yet simple enough to please children if they are willing to eat meat at all. My 17-year-old daughter, our resident carnivore who plans to serve steak at her wedding reception, is wild for this pork. Our 12-year-old daughter, who would be a vegetarian except that she is not all that crazy about vegetables, will usually consume her obligatory three bites of this meat without too much complaint or bartering. (“If I eat an extra bite of broccoli, can I only take two bites of meat?”) A note of thanks for inspiring this dish goes to my surrogate big sister, Karen, who served us another version of this pork and whose family is, I’m quite certain, in the “take turns” camp of Christmas gift-opening. I don't photograph it. Obviously. Preheat oven to 400°. Spray the bottom of a roasting pan with cooking spray. Remove the pork from its wrapping, rinse it with water, and pat it dry with paper towels. Brush or rub it with olive oil, then sprinkle generously with salt and pepper. Place in roasting pan (you’ll want the layer of fat to be facing up) and roast, uncovered, at 400° for 20 minutes. Meanwhile, put the apricot preserves in a 2-cup glass microwave-safe measure, and heat in the microwave on High for 20 seconds. Stir, then mix in orange juice and balsamic vinegar. When the roast has cooked at 400° for 20 minutes, remove it from the oven and reduce the oven temperature to 225°. Spread the apricot glaze mixture over the top of the pork. Cover the pan (use two layers of aluminum foil if your pan doesn’t have a lid—make sure the foil is crimped tightly all around the sides of the pan) and roast at 225° for about 6 hours, or until the meat can be pulled apart with a fork. Allow to rest, covered, for about 20 minutes. Serves 12-14. Leftovers can be shredded and mixed with barbecue sauce for sandwiches or frozen for later use. 10. A Christmas Carol. My dear husband introduced me to this holiday classic, and far-and-away our favorite movie setting of it is the George C. Scott version. We watch it every year on Christmas Eve with all the lights off and candles glowing. God bless us, every one. 11. 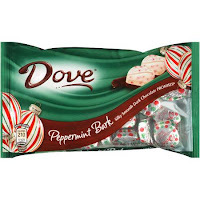 Dove Peppermint Bark Promises. 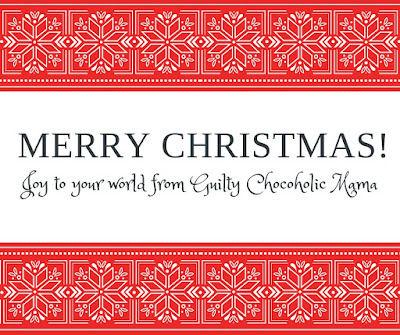 No list on Guilty Chocoholic Mama is truly complete without (wait for it) chocolate, and in my opinion, no holiday season is complete without this form of it. Note to the serious: stockpile these babies for the non-holiday months. Let's not take chances here. 12. The best gift ever. "The angel said to them, 'Do not be afraid. I bring you good news of great joy that will be for all the people. Today in the town of David a Savior has been born to you. He is Christ the Lord'" (Luke 2:10-11). Now: what do you love at Christmastime? Share it in a comment or on Facebook! This post originally appeared on Blogs By Christian Women's Christmas Blog Tour. Stop by the tour and find more holiday happiness. to snack on while you read. We have been munching on a batch of frosted sugar cookies this past week. The recipe I use calls for sour cream, but they come out all soft like yours too! My favorite Christmas movie is Home Alone. 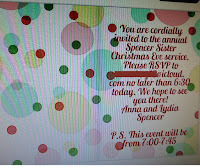 :) So cute that your girls put on a Christmas Eve service. As a kid, when my cousins and siblings would all get together, we would put on Christmas "plays" for all the adults. Lots of fun for kids! Love it, Emily! I've had sour cream sugar cookies before, and you are right: they are soft and wonderful! Mmmm...wish I had some right now! ;) And our family LOVES "Home Alone." We watch it every year on Thanksgiving night. 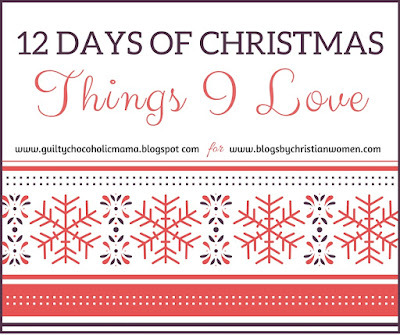 Thanks so much for sharing some of your Christmas must-haves...have a blessed Advent season! I have to try the cream cheese sugar cookies - thanks for the recipe. And of course Christmas Carol is an absolute necessity during the holidays. I hope you do get a chance to try it...but no rush: this dough makes good Valentine's Day cookies...or Groundhog Day cookies (not sure on what shape that would be, but who cares?!). :) Thank you so much for taking time to stop by during this extra-busy season! Elizabeth, you have packed so many goodies in here. I'm going to add your cream cheese sugar cookies to my recipe box. Decorating holiday cookies as been a favorite tradition for me and nieces and nephews. 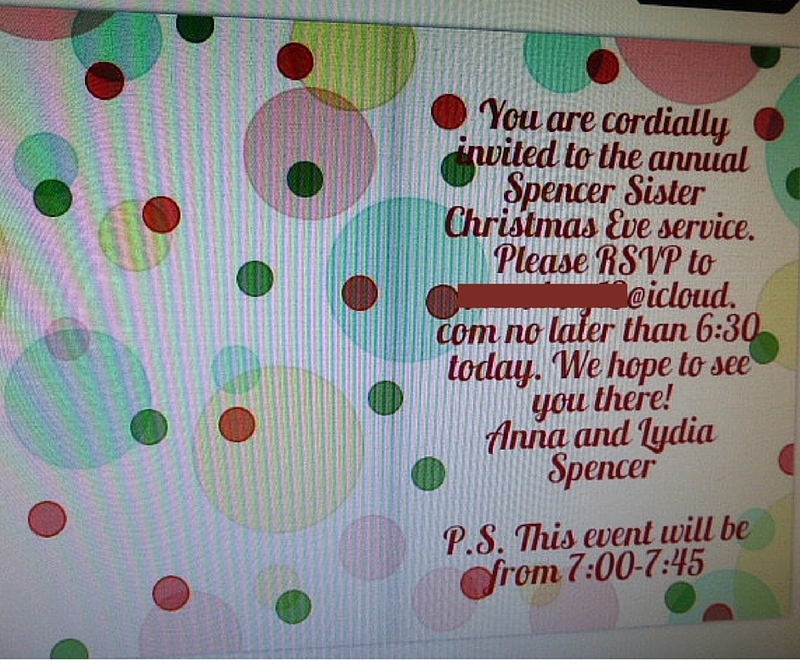 I like your idea of having your kids put on a Christmas Eve service...what a creative idea. Hope you and yours have a Merry Christmas. Thank you, Wanda! I do think you'll love the recipe...what a sweet auntie you are and what precious memories your nieces and nephews will have of your cookie-decorating sessions! Thanks for being such a gracious hostess with BCW on the Christmas blog tour...praying you have a joyous Christmas season! Elizabeth, thank you for sharing your great ideas with us! My tween daughter asked me to bake cookies this Christmas. I can't wait to get crackin'! Hi, Rebecca! How great that your tween daughter wants to bake with you this Christmas! 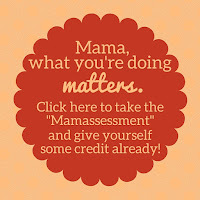 Mine does, too...and I think you and I both need to take that as a "score" in our mother-daughter relationship column! ;) Looking forward to reading YOUR post on the BCW blog tour! I love the book The Best Christmas Pageant ever too! Back when I used to teach 4th grade, I read it aloud every year. It was a subtle way to share the gospel in a school ;) but I would always get choked up and teary eyed too. Such a great book, I look forward to the next year or so when my kids get a little older so I can read it aloud to them. The Christmas Miracle look like it would be a great read aloud I could do with my daughter! I love your list! I absolutely love the words "good enough". I will carry that with me throughout this season as our family has decided to do the very minimum for ourselves and the very maximum for others! We want to celebrate Jesus' birthday--yes, with gifts for ourselves, but even more with gifts for others. Thank you for sharing your list. I look forward to trying the cookies and stock-piling those Dove Peppermint chocolates! :-) Blessings! "...do the very minimum for ourselves and the very maximum for others." Wow, Christine...what a simple yet profound way to frame this season. I love how that puts everything in perspective. Can I borrow it for my family and myself, too? :) Glad I could put you onto those Dove Peppermints...heeheee (addiction alert!). Blessings right back at you! Oh and to answer your question: what I love most is spending time with my family--doing our little traditions like watching It's a Wonderful Life every Christmas Eve and eating the exact same foods that we eat every year--soup, Hawaiian bread with spinach dip, and of course, my mom's yummy peanut butter fingers! Oh and our big Christmas morning breakfast after we open our gifts! Notice how most of mine are food-related! Lol! Oh my gosh, Christine, I liked you already just because you are a 4Real Mom, but I have a special place in my heart for others whose favorite food memories and traditions also involve food! In my family of origin, we say that we remember our entire life based on what we ate! But I also love something else we share that you pointed out: the sweetness of sameness. The older my girls get, the more we cherish those "every year" traditions...and the more they say they love them. Which makes my mama's heart happy. Thanks so much for taking time to stop by and leave all your lovely comments! You're a delight! 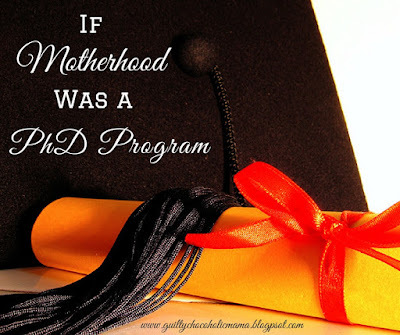 Oh, so many things I loved about this post! Not enough time to comment on all of them, due to the continued unpacking of all the camping gear and loads of laundry that are a result of our Thanksgiving trip. And the ironing of G's shirts, because I foolishly thought I'd have plenty of time to do that when we got back... I love, love, LOVE the at-home Christmas Eve service produced by the girls, and can't wait to hear what they've got in store for this year! I just saw the video of The Best Christmas Pageant Ever last year for the first time, but your description of the book sounds even better - those are fantastic opening and closing lines, for sure! With my parents, we ALWAYS take turns opening presents, along with adding color commentary, as well. But when we head to the big shindig on Christmas Day with my dad's side of the family, they follow the pass-out-the-presents-and-everyone-just-start-opening-at-once method. Which I hate. I do, however, love presents, so I will continue to attend the little soiree each and every year. Adding that chocolate to my list and now trying to figure out how to fit in ONE MORE type of cookie to my baking marathon list, because those sound Ah-mazing! Oh,my Lisa, I've missed you! Thank you for taking time to read and comment on and share this list in the midst of the camping post-mortem. And ironing!? I knew you were a better woman/wife/human being than I already, but this confirms it. Right now, go tell your husband, "My friend Elizabeth says you are blessed to have me." WHICH I am sure he already knows. But it never hurts for our husbands to hear such truth from outside sources. And yes! "Color commentary" is exactly the word I was looking for in my description of our gift-opening pageantry. But I'm sure there is a certain frenetic fun to "the other way." Finally (for now! ), I do think you'll love those cookies, but you don't have to fit them in this month, honey. They'd make GREAT four-leaf clovers or "A is for April" cookies or something. (I'm banking on the fact that anyone who makes her own graham crackers has an alphabet cookie cutter set. Right?) Thanks so much for giving me the gift of all your usual charm and humor. I'm looking forward to resuming our ABC game once you climb out from under the laundry! I'm the only one who loves A Christmas Carol, the George C. Scott version is my favorite also. I can't wait to try your cookie recipe. I never make cut out cookies because I have not liked the recipes that I've used in the past, so next week I'm planning on making cookies. I love your holiday traditions! Thank you for sharing with Thankful Thursdays. Well, Lori, maybe someone else in your family will come around to "A Christmas Carol" someday! ;) And I know what you mean about sugar cookies...I usually find them dry and hard. But it's amazing what some cream cheese will do...I hope you get to try these and that you love them as much as we do. Thank you for being such a gracious hostess at Thankful Thursdays! Merry Christmas to you! I think my favorite thing about the season is the music. Our daughters teach music (guitar, flute, piano, and violin) and so there is a holiday recital (which will be tomorrow night!) with students dressing in their finest and playing their very best. Then there is the Symphony Orchestra concert that the girls all play in each year. Also, our daughters have a singing group (the Long Family Singers) and there are lots of singing engagements for Christmas. When I think of December, my mind usually goes first to the sounds of the season (particularly the music). Cheryl, what a lovely musical family you have! Music has been part of my heart since I was a baby, so I completely agree with you about the music of the season. I actually could have made some sort of music ALL 12 items on my list! Enjoy the recital and the concert and all the other musical moments you and your family have coming up as you "repeat the sounding joy" together! Thank you for taking time to stop by! Oh my gosh, we could be sisters! 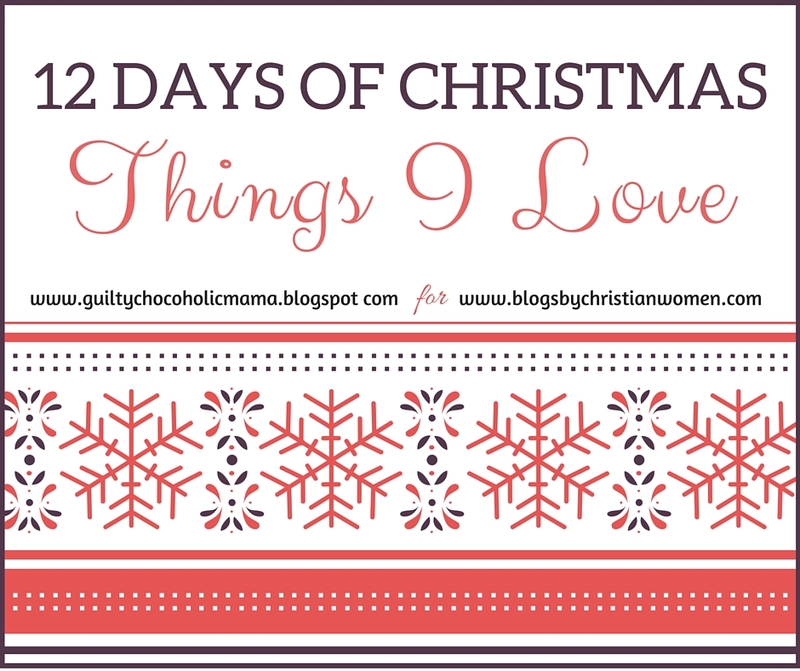 I LOVE the DOVE promises and Straight, No Chaser's 12 days of Christmas! I also have a great sugar Christmas cookie recipe from a grandma in the family that we make every year and never veer from! And A Christmas Carol is always wonderful, although my favorite holiday movie has to be It's a Wonderful Life. And "good enough" is so true!! Something I've come to realize myself lately. Such freedom! These are awesome treasures for the holidays! So nice to "meet" you! Thank you for sharing! Hope you can pop into my blog on Saturday. :-) Have a blessed Christmas!! Marianne, it is lovely to "meet" you, too! I agree...I think we are at least soul sisters! ;) What a treat for me to run into someone else who already loves so many of the same things I do. And I absolutely will stop by your blog "house" for Saturday's stop on the tour...can't wait to see what you share! Thank you so much for dropping by and reading my little list! What truly wonderful ideas! I don't know where to start checking them out! You "Christmas Eve Service" makes me wish my children were young again! I found you on "Frog's Lilypad" today. Blessings! Awww, thank you so much, Donna! Thank you for finding and visiting my little (or not-so-little!) list! ;) I know what you mean about longing for the days of younger children...I'm just hoping mine (tween/teen now) will put on our Christmas Eve service until they have homes of their own--and then continue the tradition there with their own little ones someday. Or bring the show to Grandpa and Grandma's house...? :)Blessings back to you!Have a joyous Christmas season! Elizabeth, I was working on a roundup of posts I've read and enjoyed the last week or so. I couldn't help sharing yours. Stop by for a visit and don't forget to linkup at Mondays @ Soul Survival. Have a great week! Oh, I like that idea of "filtering out" all the coulds & shoulds! Merry Christmas! Thank you, Aaron! I'm still working on doing just that. :) So glad you, too, are part of the BCW tour...I just visited your blog "home"! A great post! Thank you so much for sharing with Full Plate Thursday and have a great day. What a wonderful post. 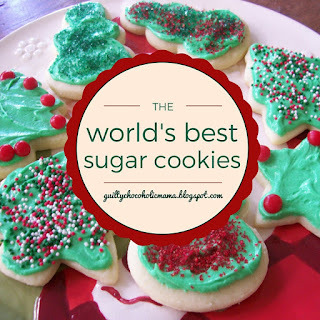 We're always looking for a new sugar cookie recipe; I've just never found one I love yet. My boys enjoy painting our cookies each year and I find that sugar cookies are the only ones that really work. We'll have to try these. Thank you, Mother of 3! I AM quite fond of this cookie recipe! ;) I hope you're able to try them and that you and your boys love them. 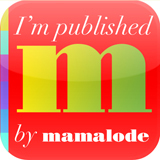 I've just been admiring your candy cane stars on your blog! So pretty! I am craft-phobic, but my Pinterest-crazy daughter talked me into making a candy cane wreath such as you mentioned, and the miraculously finished product is hanging in the very room where I sit and type right now! Thanks so much for stopping by...have a joyous Christmas! Oh my goodness. Those dove peppermints are my favorite. This is a great idea for a post! I love the thought of being thankful for small things like this during the season. I know, right...on those Doves?! :) Now, I'm also rather hooked on their new mint cookie version. Thank you so much for your kind words...may the rest of your Christmas season be filled with joy! 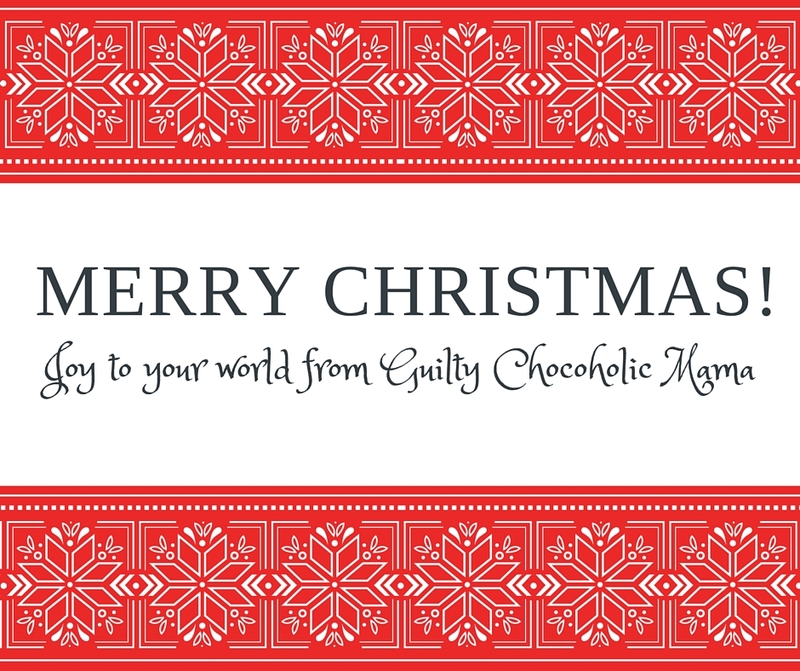 Hey there - totally loving everything about your post and Merry Christmas to you! Love that you started the party with Straight No Chasers - got to see them a couple years ago and JUST LOVED THEM! How fun and your cookies.....they look pretty fun too! :D Thanks for sharing with us at #TryaBiteTuesday - come back again this week! Hey there to you, Debra! :) I am SO envious that you got to see Straight No Chaser...and so happy for you...and so delighted to "meet" a fellow fan! Really, I have to say that listening to their "12 Days..." while eating a sugar cookie would not be a bad way to spend a few seasonal moments! Thanks so much for hosting #TryaBiteTuesday...I'm headed to this week's edition right now! I love this list and I can't wait to try those sugar cookies! Thank you for sharing them at the #SmallVictoriesSundayLinkup! Thank you, Echo! I'm rather fond of this list, too! I hope you are able to find time in this busy season to try the cookies...but I will say that they do also make good Valentine's cookies...or April Fool's Day cookies...or Flag Day cookies...;) Thank you so much for stopping by from the #SmallVictoriesSundayLinkup! It's just 6:20am here and I just ate TWO of those Dove Peppermint Bark candies. They are amazing...a great accompaniment to my Bible reading. I'm making a Christmas dinner this weekend for friends who are coming in from out of town. I'm now seriously considering making that pork roast. It sounds great. Shannon, you are MY kind of girl! What a combo: those Doves + Bible study. Now THAT is what I call a smart start to the day! Let me know if you end up trying the pork...I can pretty confidently say that it's so easy and really hard to mess up. It also makes the house smell fabulous, and leftovers are a dream. Actually, I wish I had some right now. ;) Thank you for stopping by...blessings on your hostessing this weekend! What a terrific list! Enjoy enjoy enjoy your family, your friends, and most of all your Jesus! "Steal" away, Julie! :) Those services have become a beautiful part of the tapestry of our family's traditions. Thank you so much for stopping by...Christmas blessings to you! I love all the things on this list and can relate to most--such as the spaghetti and meatballs for Christmas Eve meal. We also have a big breakfast Christmas morning, after we open presents and before we head off to see both sets of grandparents. Waffles, eggs, hashbrowns, sausages, etc... with a little Christmas music puts us in a great mood. I will have to say, I'll have to try your roast for next year. I love the low and slow approach and there's nothing better than setting something in the oven to cook while you enjoy the day with your family. Awww, Maria...thank you! Your Christmas breakfast + music sounds perfect! Order me up one, please! ;) I think you would love that pork, too...my mouth is already watering for ours this year. Thank you for so graciously co-hosting the #SHINEbloghop. A joyous Christmas to you and your family! It sounds like we are kindred spirits when it comes to Laura Ingalls Wilder! You might enjoy this post about Ma. She is the true heroine! You are listed as a No Reply Blogger, so I couldn't email a reply to you. If you'd like to change that, you can read about it on this post. Thank you so much, Laura! I'll look forward to reading this once I get a few more items checked off my "good-enough Christmas to-do list"! Blessings back to you!